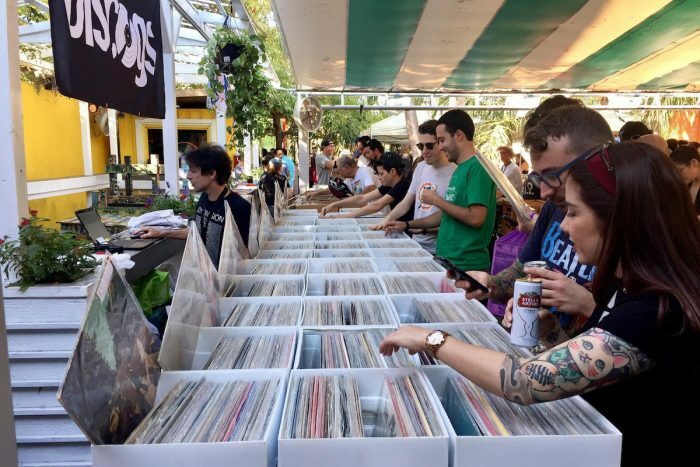 Crate Diggers, Discogs’ record fair specialists, will be hosting six free-to-attend events across the globe, beginning in London, Tokyo and Amsterdam. Featuring both used and new vinyl for sale, the daytime record fair at Crate Diggers events is followed by an after party during the evening, which features selections from local DJ talent. Discogs launched the events subsidiary in 2014 in collaboration with the disco remix record label, Grimy Edits. Line ups are yet to be announced, but past happenings have seen appearances from the likes of Theo Parrish, Dam Funk, and Marcellus Pittman, to name but a few. You can check out the website here, and discover more info on registration for the event in your local city.